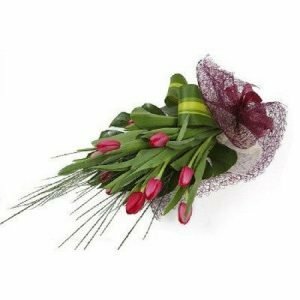 Lizzi & Lime – Florists in Westcliff – A wonderful Hand Tied Bouquet filled with Shamrock Blooms, Lisianthus & White Lilies wrapped in fresh palm leaves, tissue paper and cellophane. 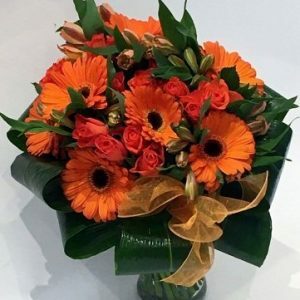 Hand Tied Flowers from Home of Flowers – Your Local Online Florist in Westcliff on Sea. Lizzi & Lime – Local Florists in Westcliff – A wonderful Hand Tied Bouquet filled with Shamrock Blooms, Lisianthus & White Lilies wrapped in fresh palm leaves, tissue paper and cellophane. 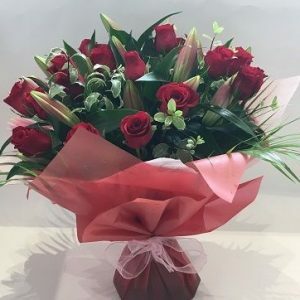 Hand Tied Flowers from Home of Flowers – Online Local Florists in Westcliff on Sea. Hayley at Home of Flowers has over 25 years experience in floristry. 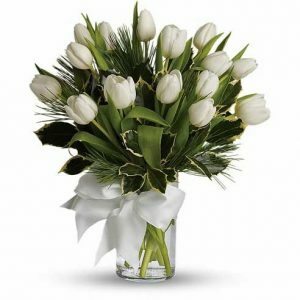 We pride ourselves in delivering only the best selection of fresh flowers to your door. Browse through our vast selection in our Shop to find that perfect gift or Contact Us for any personalised requirements.